Airline AIR CHINA. CA. CCA. Official site. Reviews. Airline AIR CHINA. Official site. AIR CHINA - ranked second among Chinese airlines and at the same time is the only one that is allowed to be used as symbols of the national flag. In addition, it is this company provides aviation services to the President of China and the government officials of both China and other countries coming on a business trip to China. This fact, of course, talking about the special status of the state as an airline carrier. The AIR CHINA company dates back to the 1988 year. It appeared as a result of the division of all civil aviation in the state into independent airlines. Already in the first year of operation, the company's profit exceeded 100 million dollars. In 1994, the policy on the abolition of state regulation allowed attracting foreign investment in the development of the company, as a result of which the money turnover exceeded 1 billion dollars. During the following years, the company has absorbed several smaller airlines, thereby increasing the fleet and significantly expanding the geography of flights. In 2007 year AIR CHINA became a part of the largest air alliance. Home AIR CHINA base of the company in China located in Beijing and in Moscow in this place is the Sheremetyevo airport. Air airline fleet is varied and consists of several aircraft models. This Boeing 777, and Boeing 747, and Airbus A340, and many others. Each aircraft is equipped with a modern security system. Far from the first year, China is a favorite destination of tourists from around the world. Cities like Beijing, Guangzhou and Shanghai are considered among the most popular destinations. It is in these cities, as well as in the surrounding provinces, tourists can enjoy the most beautiful places of the country, get acquainted with its attractions. 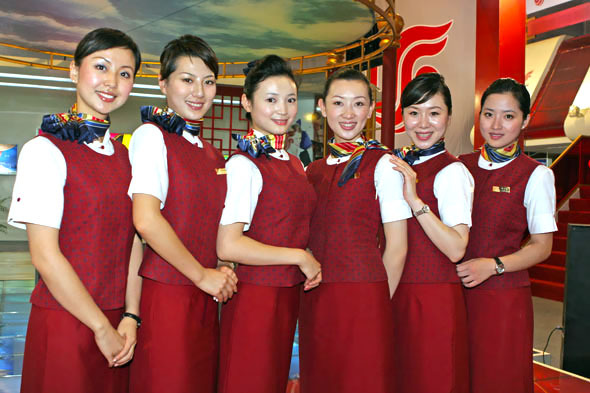 Airline AIR CHINA will provide everyone with this opportunity at affordable prices. The high level of service on board aircraft airline only decorate your holiday. The official website of the company you can take a virtual tour around the cabin of any aircraft and know exactly in advance for what you pay the money. Like most other airlines, AIR CHINA offers its patrons to take part in the loyalty program Phoenix Miles, where everyone can, accumulating a corresponding number of bonuses to exchange them for a ticket or your favorite service. National Aviation Company of China, the network of routes abroad and inside the country. Year of appearance AK: 1988. The airline is a member of the alliance: Star Alliance. Air China (AirChina). 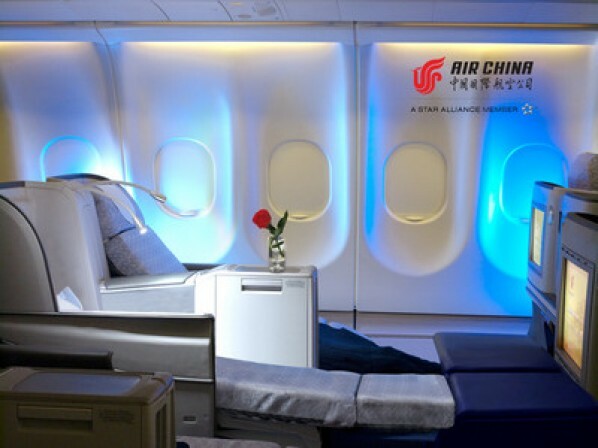 Official site: www.airchina.com.cn. Main airports airlines: Chengdu Shuangliu, Beijing Capital, Shanghai Pudong. The mailing address of the airline: China, 100621, Beijing, Capital InternationalAirport. City Airline Phone: + 86108448888. Postal address of the Russian representation of the airline: st. Novoslobodskaya, 4 / 11, 2 floor, Moscow ,. 127055, Russia. City phone Russian Mission Airlines: + 74952923387, + 74952925440. Fax offices in Russia: + 74952925136. Domestic flights airlines: Baotou, Bangda, Wenzhou, Wanxian, Guangzhou, Golmud, Guiyang, Guilin, Dalian, Dayong, Yibin, Datong, Kunming, Yinchuan, Linyi, Lanzhou, Luchs, Linjiang, Lhasa, Luzhou, Nanjing, Mianyang, Nantong, Nanning Ningo, Nanchang, Penhuadao, Beijing, Xian, Sanya, Xiamen, Xichang, Syanfan, Xianning, Tungliao, Taiyuan, Urumqi, Tianjin, Fuzhou, Wuhan, Hajlar, Haikou, Harbin, Hangzhou, Hefei, Hohhot, Jinan, Jian, Changzhou, Qingdao, Changsha, Changchun, Chongqing, Zhengzhou, Shanghai, Chengdu, Xilin Hoto, Shantou, Shenzhen, Shenyang, Yuncheng, Yunjinghong, I nzi, yantai. International flights of airlines: Vancouver, Bangkok, Vienna, Washington, Jakarta, Hong Kong, Dubai, Doha, Copenhagen, Karachi, Kuwait, Los Angeles, Kuala Lumpur, London, Melbourne, Macau, Munich, Milan, New York, Nagoya, Osaka, Nuremberg, Busan, Paris, San Francisco, Rome, Seoul, Sendai, Singapore, Sydney, Stockholm, Istanbul, Daegu, Tokyo, Frankfurt, Ulan Bator, Helsinki, Fukuoka, Chicago, Hiroshima, Yangon. The airline has the following types of aircraft: AirbusA319, AirbusA320, AirbusA321, AirbusA330-200, AirbusA330-300, AirbusA340-300, Boeing737-300, Boeing737-700, Boeing737-800, Boeing747-400, Boeing757-200, Boeing767-300, Boeing777-200, Boeing777-300. We flew from Moscow to Xiamen, everything was just fine! Thanks to the lovely stewardesses, although I'm not going to China anymore, but the stewardess girls even brightened up my negative opinion about the country. He flew to Moscow with a connection in London. Since the flight was almost empty, the flight attendant offered seats in business class! The conditions there of course with incomparable housekeeper, the food is great. Therefore, even when we went to the sorry decline, certainly fly with them again and definitely business class. All would be nothing but shaking them in decent planes, one a shake for every ten minutes of flight exactly when they constantly begin to talk hands-free, so that passengers not to worry, it would be better already silent sleep in the cabin is simply impossible. The first flight performed on such an old plane, shaking it in an incredibly easy! Such a feeling that he was in the past, they have not even TVs LCD - but purely and simply because of the huge terminal in Beijing - completely deserted. A terrible airline. I have never got on your flight on time! Continuing delays, well, if in a few hours, and sometimes they have to wait more than a day until the work will establish. Flight delays compensate for a bottle of water and a pack of waffles! As a result, I arrived, not home, but directly with the things went to work as the time to have a baggage not already, and it's good that we all took off! Next time, just do not fly, it is better pay in addition for another airline ticket. From Moscow to Melbourne flying aircraft of the airline (27.23.2015 g). On the Internet we saw a lot of both negative and positive reviews, so with caution steel refers to the company. But be that as it may, we were pleasantly surprised by the high service company. The aircraft, food, service were on the level. It is evident that they have to do everything to make us feel comfortable. No delays. In general, I recommend! Education in Saint-Petersburg State University of Civil Aviation.